Side sew cases are used for their longevity and ease of use. The cases manufactured using this technology are preferred because they can be manufactured quickly, and can be customized to bind different sizes and makes of books. Multiple high-speed case makers are used to produce bulk quantities with quick turnaround time. Usage of advanced technology like Moffett Side Sewing and McCain Side Sewing. Automatic reinforcing of end leafs to prolong the life of the case. These machines have the capability of manufacturing a high number of cases. These machines utilize gravitational power to square the spine of the book. Moffett Side Sewing Machine are also known as GSI machines because of the process utilized to bind the books. GSI stands for gather-sew-inline. The stitch length varies according to the type of book produced. One of the most technologically advanced systems used to bind books, McCain machines are used to provide maximum endurance to the books. This system is utilized to bind books used in elementary and high schools all over the USA. Both these machines assist in fast production of cases. 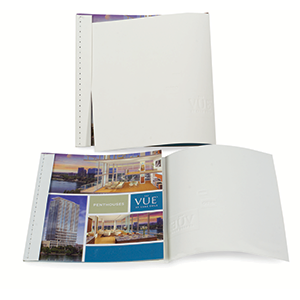 The binding technology used prolongs the life of the book by securely holding all the pages in place. To place an order or request more information, please contact Ad Industries at 818-765-4200 / 800-233-4201, or email at sales@adind.com.